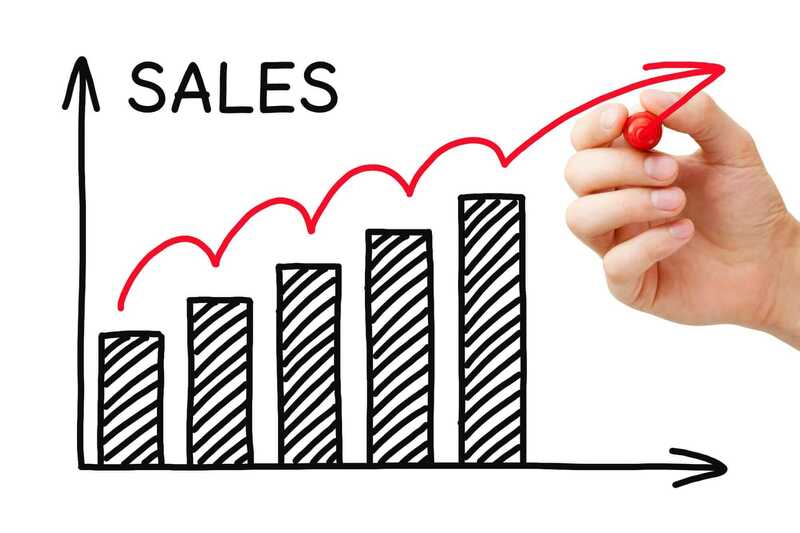 The first and foremost pieces of information necessary when assessing sales strategy is what exactly it is and why it is essential that it be successful and to build a successful business model for your organization. Essentially, sales strategy is a structured, well-informed plan which enables a company to sell its products consistently. No matter the quotas or end-goals of the company, a strategy ensures they meet their goals not just once, but every time. People love a discount and so there can be miscommunication within the company and deals can be made that aren’t in the best interest of the business. Set the boundaries of the promotional offer so that the sales team know exactly what they’re allowed to offer customers and where to draw the line. This also ensures customers don’t complain if they hear that they were denied a discount that a friend got previously. It’s best to offer a standard discount for all customers to avoid any possible problems. This way, no one will complain that they got a smaller or bigger discount. You can also offer discounts based on previous purchases, loyalty and so on. Your sales team should be equipped with knowledge on when and bow to offer a specific discount. SWOT stands for: strengths, weaknesses, opportunities, and threats. Analyzing these are critical to a business’s success. Knowing what you’re good at and what you are less successful at is how you know where to focus your energy, money and time. The knowledge of opportunities that match your strengths, for instance, would result in you pushing your product to your desired target market. Whereas, the knowledge of your weaknesses in association with opportunities stops you from wasting time or resources on an unlikely target. You should analyze your sales process to see what your strengths, weaknesses, opportunities, and threats are. The main two areas to analyze in your sales process and while working with sales teams are strengths and weaknesses. This will be easy to see from the way your salespeople communicate with the customers and the results they achieve. For threats and opportunities, you need some market research. There are some scripts and templates you can set up that remove the fallible human element from the transaction and encourage success. Creating a dock that explains who you are as a company, what you do, what you’re selling and why this will be beneficial for the customer is an easy thing to email and distribute. Similarly, scripts for cold-callers to use can be helpful for them, so that variance in delivery doesn’t result in variance in offers. This makes the process standardized. Everyone gets the same treatment, and everyone sees the same message. It would have to be extremely well written and optimized in every sense to grab attention and make people listen. Think about the video format and how it would reflect on open rates and click-through rates. To assess where you plan to go as a business and therefore what your plans and strategies are, it’s important to look back and interpret the journey you’ve taken to this point. This is especially useful in that it shows you where and why you’ve been successful, and where and why you’ve been lacking. Once you know what worked, you can do it again. Once you know what failed, you can improve. You have to look back to move forward. Analyze your previous quarter and compare it to the one before it. What is the difference between them? Why does that difference exist? Were the sales people happier and more motivated? Were there any other circumstances that might have affected them in the meantime? Did your process change? You can also use your team’s insights to get more accurate and detailed data in this matter. Statistically, 50% of sales reps only make one call and don’t follow it up, but the majority of buyers won’t buy something from you the first time you pitch it. Start with a follow-up email that incites action, after that, give them another call and make sure they know they can trust you and ask you anything. Finally, send an ultimatum email after which, you should withdraw if they’re still uninterested. The ultimatum email usually contains a discount that should entice the reader further to respond positively to the message. While these steps outlined previously are important and make a big difference, sometimes it isn’t enough, and you need to get technology involved. This is a simple process, in which customers can input performance information and where sales representatives can update their progress in the follow-up process. Most systems that can provide spreadsheets and statistics that you can use as an informative resource for things like your SWOT analysis. Before you start targeting people for sales, it’s vital to establish who exactly you believe your client-base to be. You should base this on the usefulness of your product, income, age, profession and so on. Once you’ve got a clear notion of who you’re selling to, you know the kind of thing they need to hear and understand before a sale is made. For instance, selling funeral insurance to students is as unhelpful as selling student debt loans to pensioners. It’s not difficult to improve your sales strategy; it just takes a little time and effort. By incorporating these seven steps into your business, the likelihood of success is already higher. Guest Contribution by Katrina Hatchett’s which niche is problem identification and resolution. As well as being involved in many business projects, she is also a business blogger at Academic Brits and a writer for Origin Writings and Ph.D. Kingdom blog. Her objective is to increase the effectiveness of communication in the workplace.